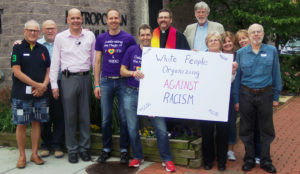 The Racial Reconciliation Working Group, an appointed group within the Office of Emerging Ministries, is charged with helping people of European descent (often called “white”) develop relationships of greater mutuality with peoples of colors, to increase awareness of the scope and power of white privilege within U.S. culture as well as its ongoing impact around the globe, and to develop and promote attitudes and practices within MCC that facilitate the full inclusion of peoples of colors. The group’s membership is composed of people of European descent, taking responsibility for helping to undermine white privilege from within, who also take very seriously working closely with, and being accountable to, allies and leaders among peoples of colors. 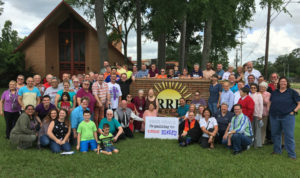 Racial reconciliation is only possible as a shared work by people of European descent and people of color. The group’s focus is on the United States. The Office of Emerging Ministries believes that this is only a beginning and that this work will need to go forward in other contexts.